Hugo Lloris, Davinson Sanchez, Toby Alderweireld, Ben Davies, Eric Dier, Harry Winks, Erik Lamela, Christian Eriksen, Heung-min Son, Harry Kane. Ederson Moraes, Vincent Kompany, Aymeric Laporte, Kyle Walker, Benjamin Mendy, Fernandinho, Kevin de Bruyne, David Silva, Raheem Sterling, Leroy Sane, Sergio Aguero. Manchester City: German international, Ilkay Gundogan is not in contention due to a hamstring injury. Both Danilo and Bravo are suffering from ankle injuries. Tottenham: Jan Vertonghen is estimated to be out of action till mid-December owning to a hamstring injury. Danny Rose is unlucky yet again to be missing out on a crucial encounter that could further his credentials as one of England’s top full-backs. He is out till early November. 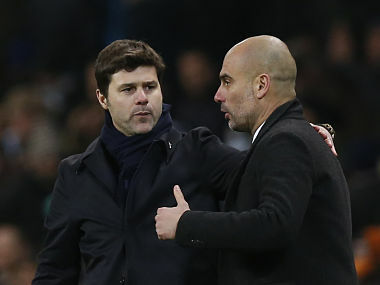 When Pep Guardiola and Mauricio Pochettino hand out their team sheet for the benefit of the broadcasters, expect it seem like a traditional 4-3-3. But that would hardly be the case on closer inspection, when the two teams take the field. For Tottenham, expect Eric Dier and Harry Winks to function as a stranglehold for the exploits of Manchester City’s Belgian pass-master, Kevin de Bruyne. That would mean Christian Eriksen afforded more opportunities to get on the ball, and having to lesser off of it. This would also mean the Tottenham team would have the look of a more reserved 4-2-3-1. Pep Guardiola after a good season or two of tinkering has come upon the formation that works for his charges. It combines interchangeability with structural integrity. Players are expected to defend in accordance to the zones they find themselves in and not mere the numbers on their back. In attack, Pep Guardiola’s team should take on the shape of a 4-1-2-3, with Fernandinho playing the bouncer. 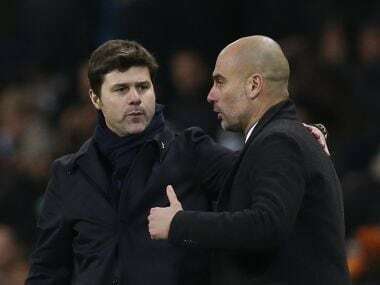 Considering this is an away match to Tottenham, Guardiola could have been forgiven to be conservative in his approach. But a cursory glance at the Premier League table will tell why that, for the defending champions, simply cannot be an approach they can nor will consciously take. Manchester City find themselves third on the table on 23 points, 3 points away from potential title contenders, Liverpool. Already having a superior goal difference, a win here would mean they would hopscotch ahead of Jurgen Klopp’s tricky Reds. 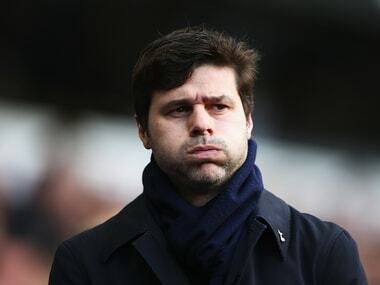 Mauricio Pochettino’s men find themselves playing catch-up. Again. 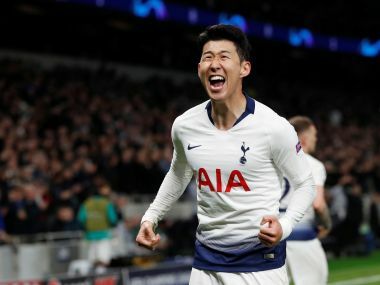 5th in the table on 21 points, the incentive a win against Manchester City provides is not only speeding past their north-London rivals Arsenal, but displacing Manchester City. Both the teams have won seven of their nine games. The difference is that Manchester City have drawn two. In Europe, Tottenham Hotspur are a bundle of nerves. If the team could have had a catchphrase to go with it, it should have been: Flattering to deceive. They run the risk of crashing out the Champions League with less than consistent displays. It goes to show that this team is still having its growing pains. The continental composure that is required of seasoned, top teams is still something they need to self-actualise. This could prove to be telling factor when the tempo in this games reaches Mad Max Fury Road levels, and it certainly will. 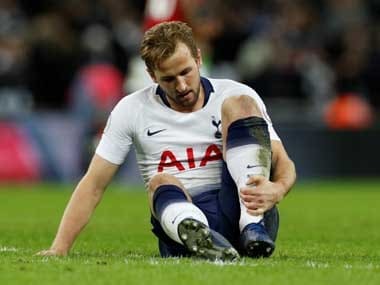 However, in a stat I’ve come across which is both a testament to how far they have come as a team, as well as a damning evidence of their underperforming streak – let it be noted that if Tottenham manages this scalp, they will be having their best ever start to a Premier League season. Manchester City last two back-to-back victories read 5-0 and 3-0. Tottenham’s read is a rather mellow one. The England international is his last big league match was spun around like a top by Liverpool’s Gini Wijnaldum. His mobility will be tested against one of the hardest players to mark in the league, Manchester City’s Kevin De Bruyne. When Kevin De Bruyne runs, Manchester City dashes. Eric Dier’s effect on Manchester City needs to be of a cow sitting in the middle of in a traffic jam, stone-faced, ruminant, immovable. Ben Davies is cut from the cloth of the old, no-nonsense full-backs. His first priority is to hack the ball into heavens to Murgatroyd. He’ll be up against the prototype of the modern full-back, Kyle Walker: fast as a Freudian slip and incisive like a poniard between the chestplate. Guardiola in a very rare faux pas called Tottenham a “Harry Kane team” last year. He’d know full well how often that is true. The task will be set on the shoulders of his battle-hardened captain Vincent Kompany. To deprive Harry Kane of the ball will be half the battle won for the defending champions.